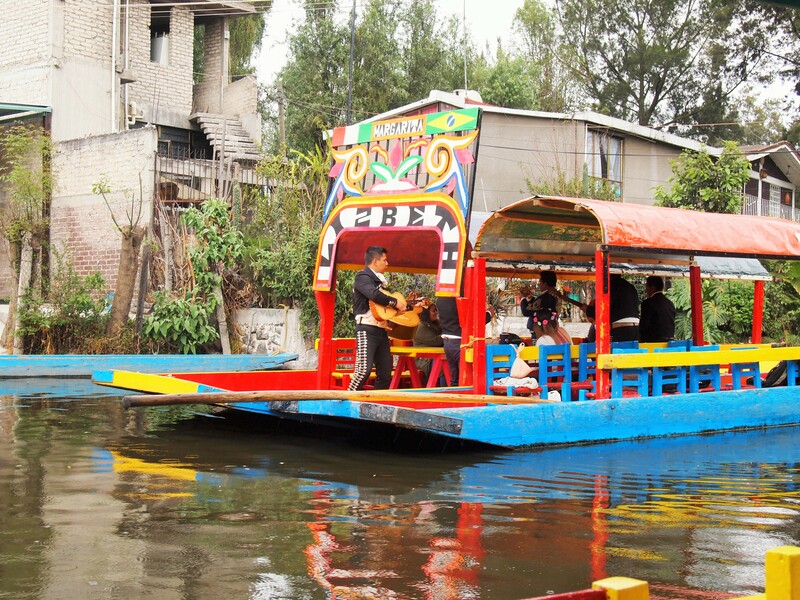 One of the must-do things on my list for Mexico City was the canals of Xochimilco (so-chee-mil-co). 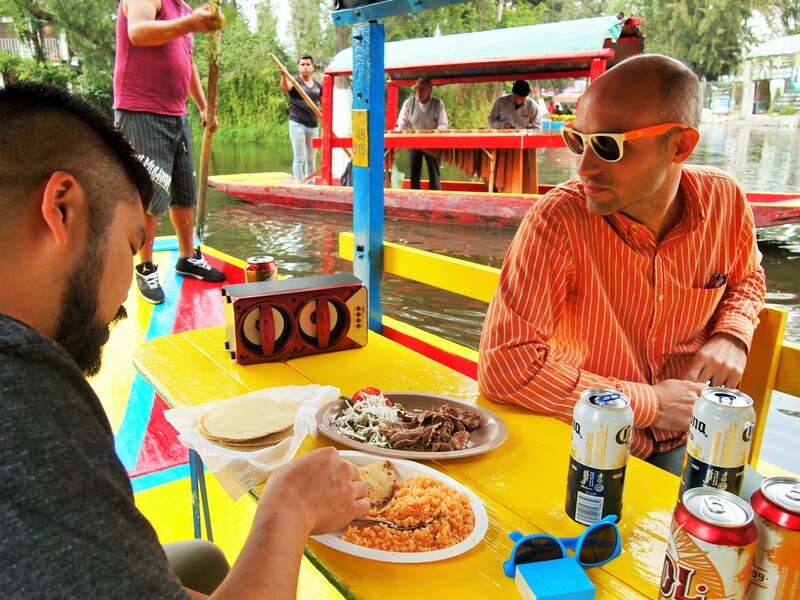 A weekend destination for many Mexican City residents, the canals are known to get busy and rowdy. We went on a Monday afternoon when the canals were fairly empty and competition for passengers was at a premium. 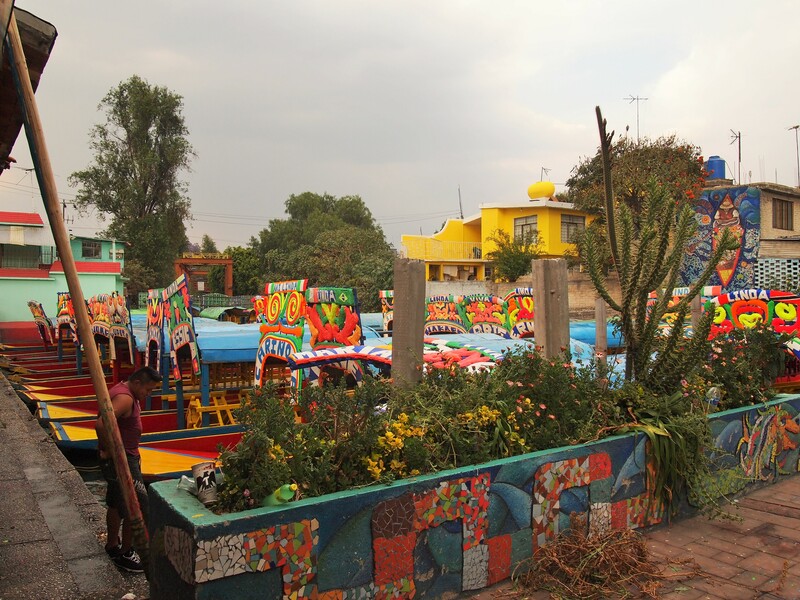 Xochimilco is a Nahuatl word meaning “place where the flowers grow.” When the Mexica empire built Tenochtitlán in Lake Texcoco, their canal system extended south to Lake Xochimilco. 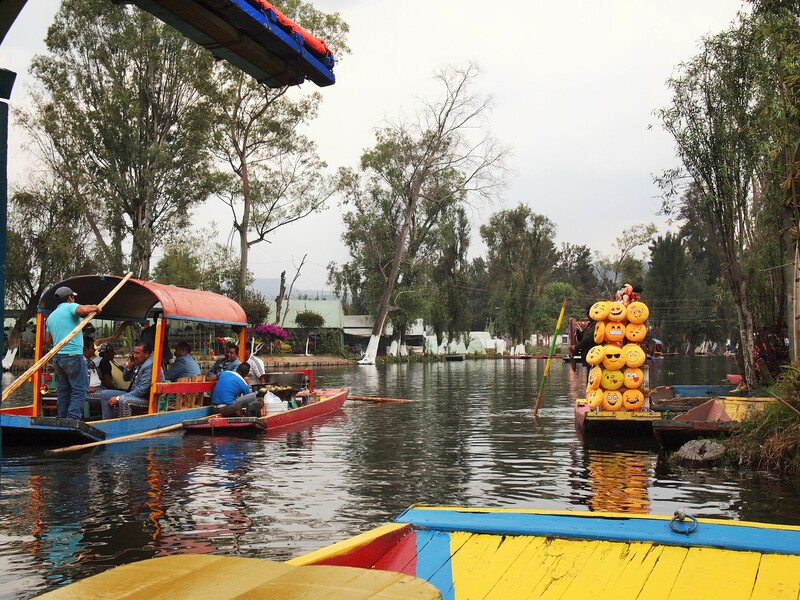 The people there had developed an agricultural system using chinampas, or floating gardens, which were artificial islands constructed in the lake to provide land for agricultural production. 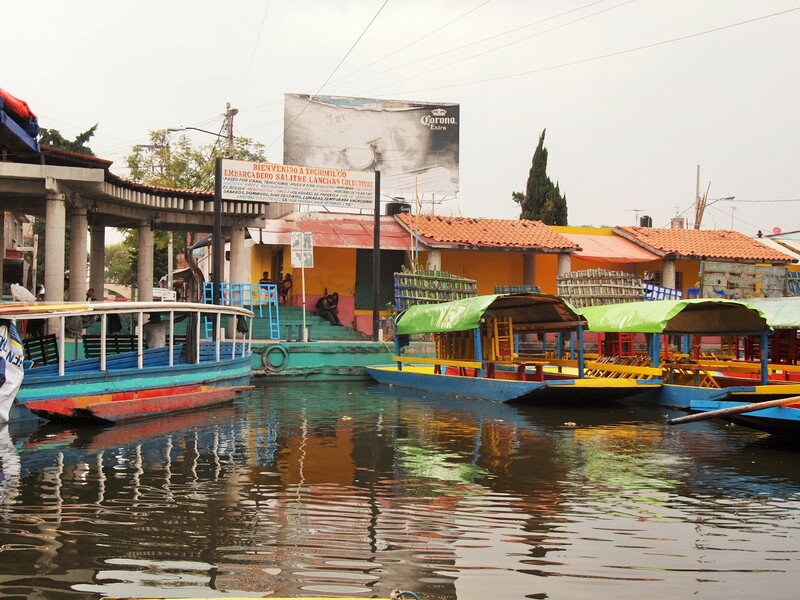 The chinampas often took root over time and became part of the landscape. 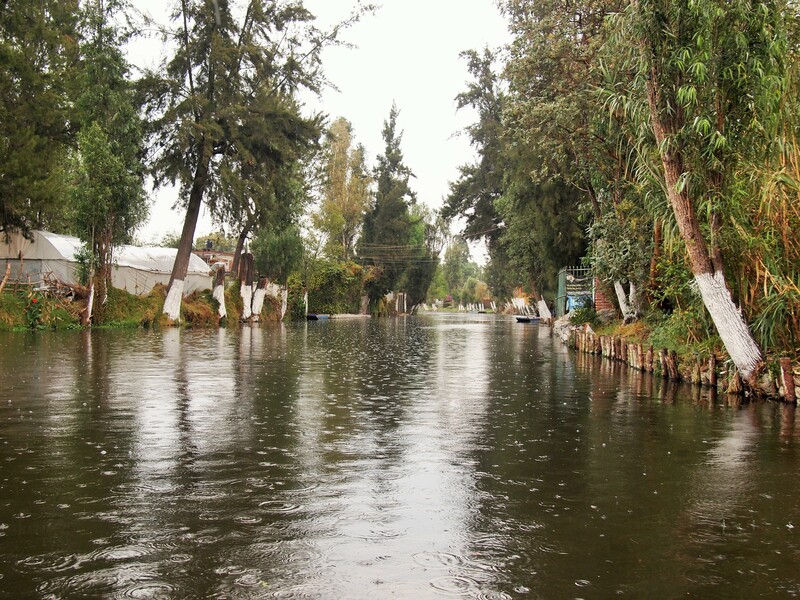 Today, Xochimilco remains the only place where chinampas are still visible. 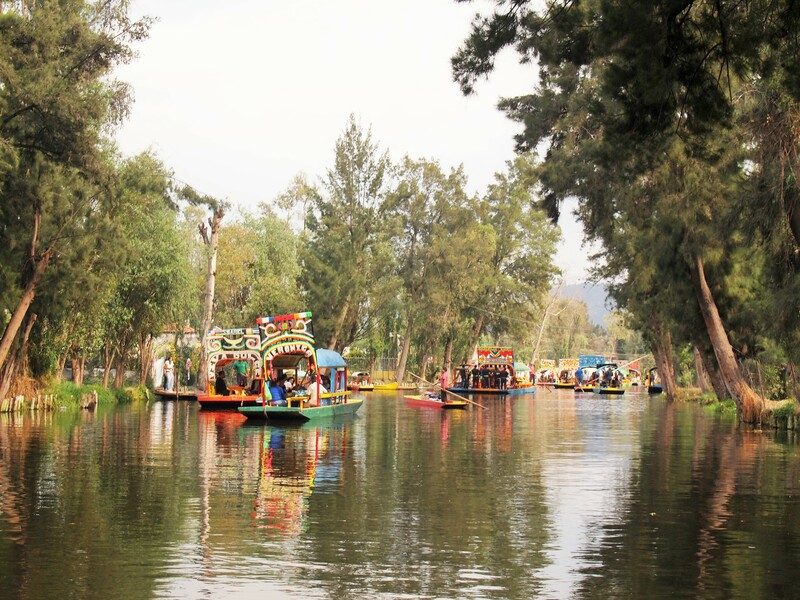 Because of its important status in Mexico’s pre-Hispanic cultural and ecological history, Xochimilco is a UNESCO world heritage site in conjunction with the Centro Histórico. While our guidebook gave directions via the metro and light rail, we went by Uber instead. Though public transit certainly would have been the cheapest route, our round-trip Uber ride was $12 total, $4 per person – worth it! Highly popular in Mexico City, Uber was recommended to us again and again by locals and friends who had visited the city and it definitely contributed to keeping our entire trip stress-free. 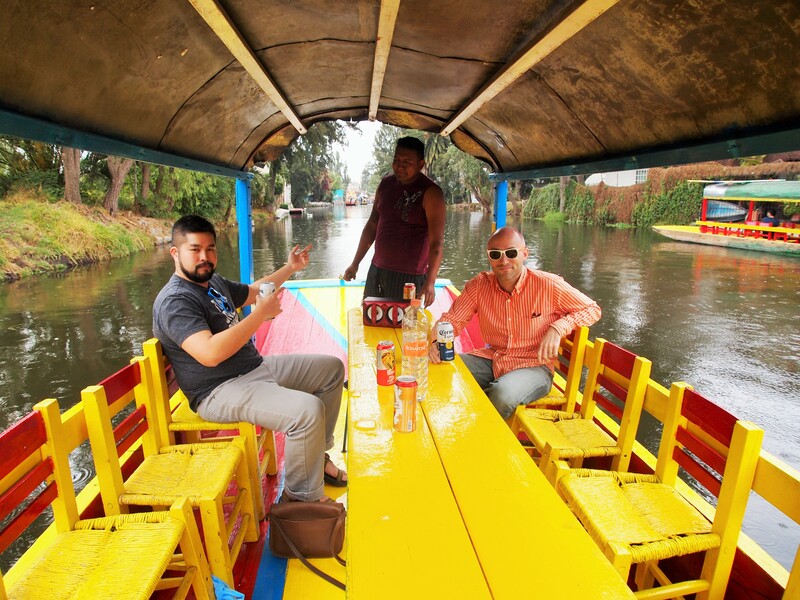 On our way to Xochimilco though, our Uber driver was especially helpful. 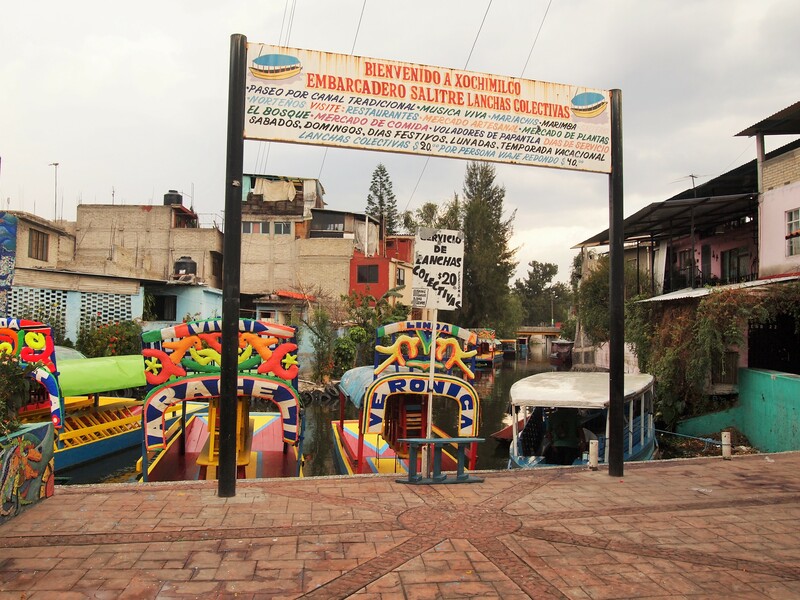 There are nine embarcaderos (boat launches) along the canals in Xochimilco. Our guidebook supplied us the name of the street where many of the embarcaderos were located – Calle Violeta – so we decided to go there and pick one. 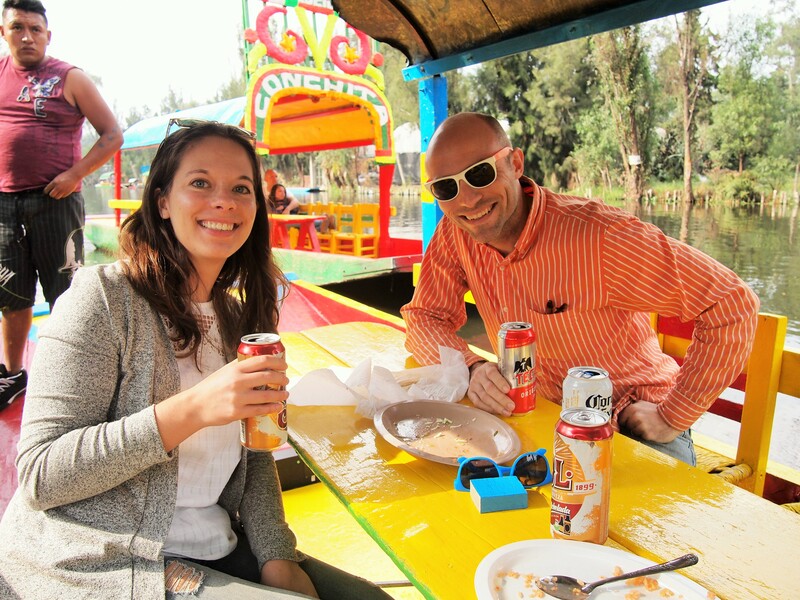 Just as we arrived in the city, our car was approached by a man in a black canvas vest with the words XOCHIMILCO TOURIST INFO on the back. He told our driver to go a specific way to the canals. We were slightly puzzled, but traffic kept moving so we told our driver just to continue to our original destination. But it wasn’t over. For the rest of our ride, a teenage boy on a bicycle continually caught up to our car to tell us that we needed to turn left because the other embarcaderos were closed. It became comical. We’d lose him as traffic sped up and then somehow, out of no where, he would whizz past our car again. Although our Uber driver tried to elude him, he inevitably caught up with us each time. We knew he was trying to direct us to a specific embarcadero, and ultimately we thought he had earned our business. There was still some bargaining to be done though. The boy initially proposed 1000 pesos, per person, for one hour. Tim scoffed. 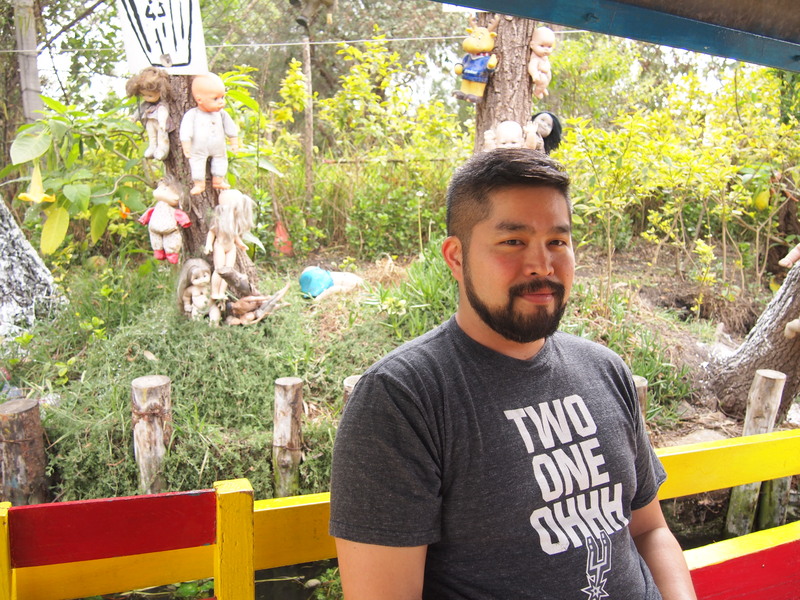 Per our guidebook, we knew that the rate was $20 per hour and had already agreed that 400 pesos would be our price. We kept walking. 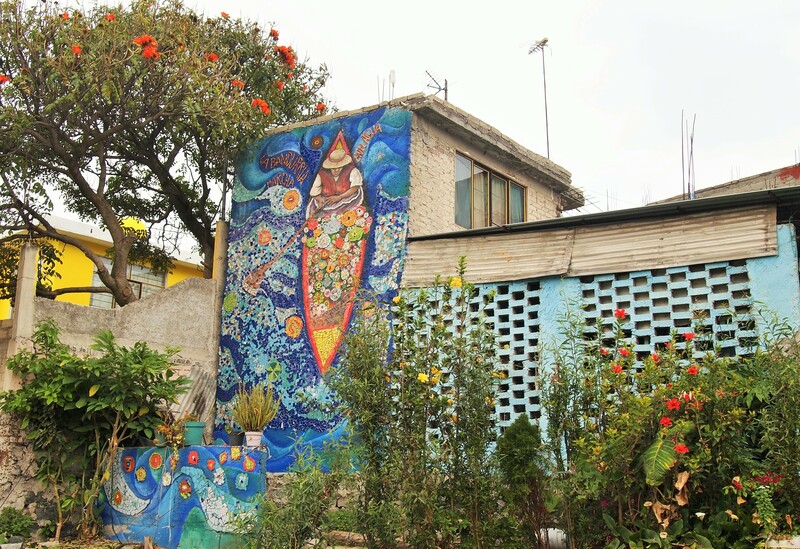 We walked from the embarcadero to Calle Violeta, passing the man in the black canvas vest. 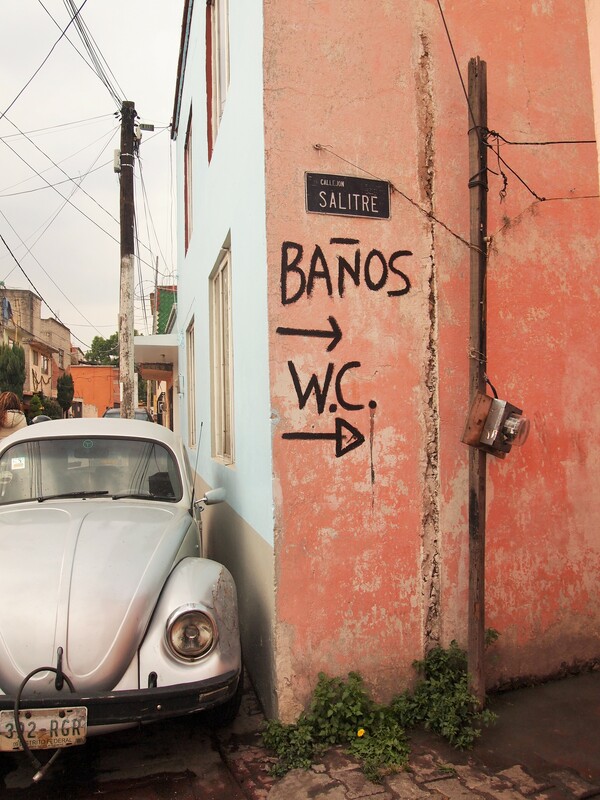 He motioned for us to continue along the street toward the other embarcaderos. Finally, we turned down the street to another embarcadero, Tim negotiated our rate to 400 pesos for all of us for an hour. 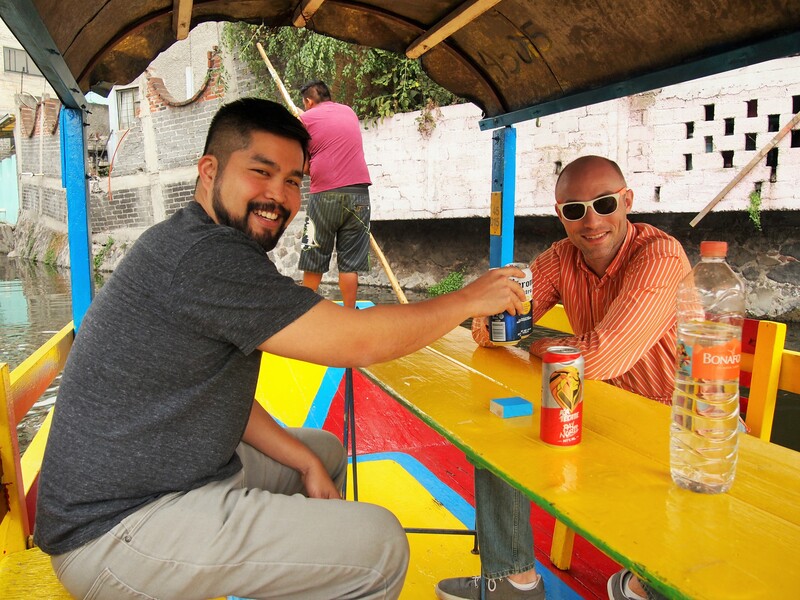 Beers were purchased, we settled into our trajinera (flat-bottomed boat), and our boatman, Christian, began the journey. We had a great time. 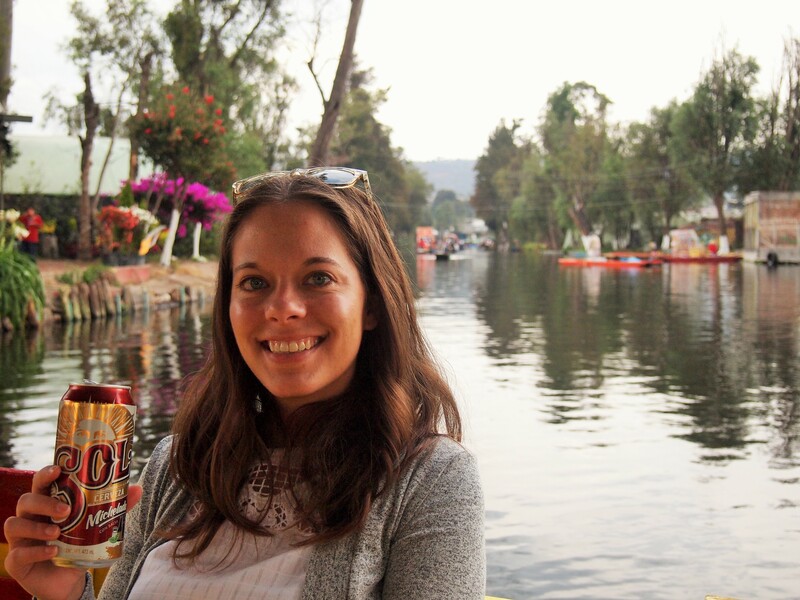 It was pretty calm in the canals, but there was a decent amount of boat traffic especially when you add the trajineras selling snacks, mariachi performances, and other souvenirs. We ended up adding another half-hour to our ride, with a stop along the way for more beer. 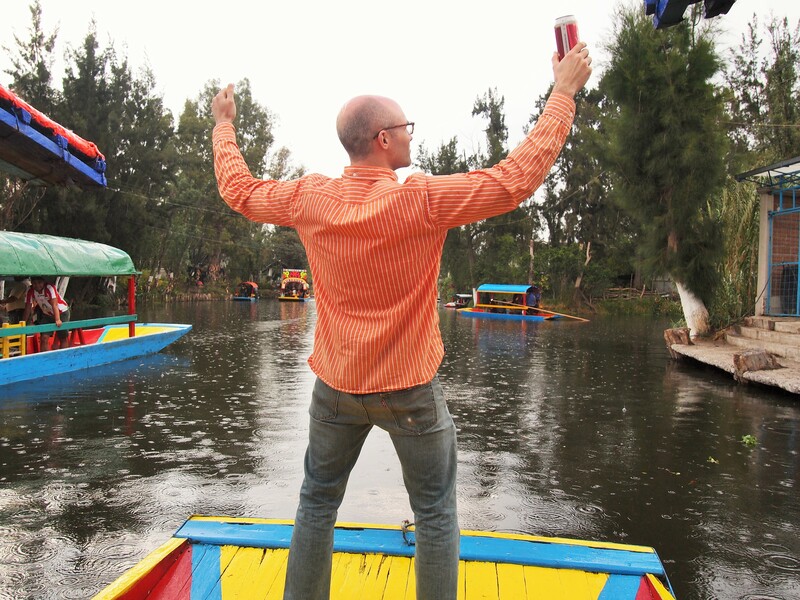 Pro tip – always offer your boatman a beer; he’ll instantly like you more. 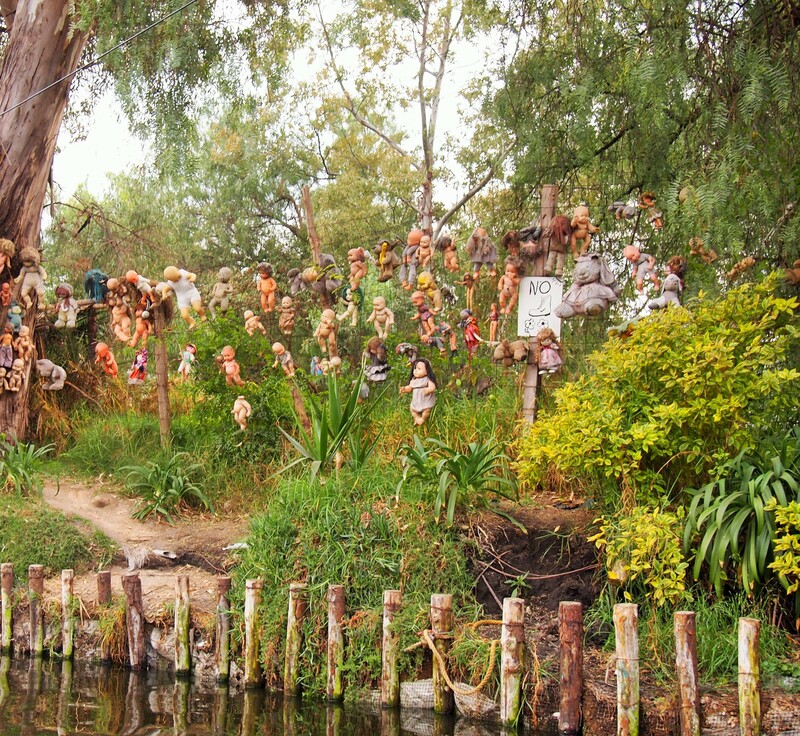 At one point we noticed an assortment of rotting dolls strung up in the trees along the bank. It was incredibly creepy. And for some reason I can’t recall, Christian pulled our boat up against the bank for a few minutes. He didn’t seem to think anything of it. 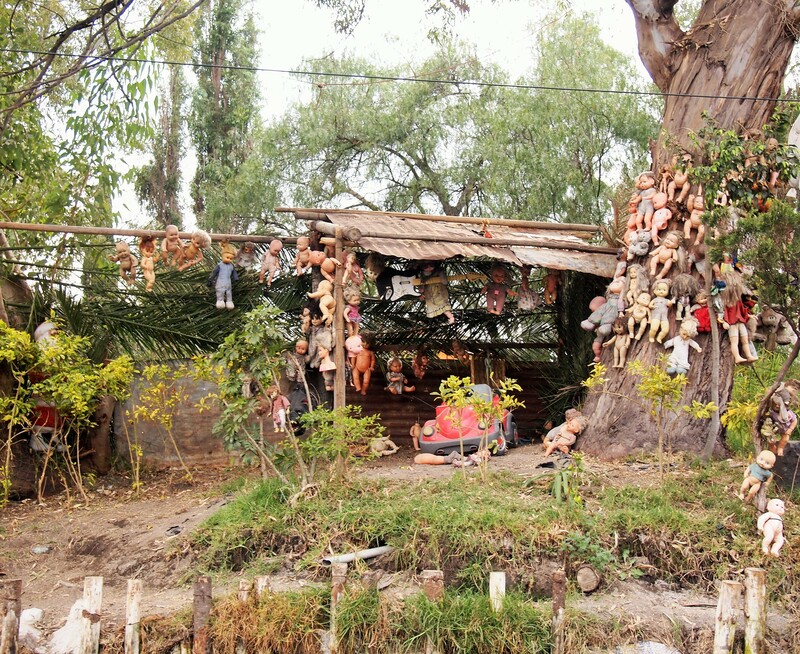 I later discovered that it has a name, Isla de las Muñecas, or Island of the Dolls. According to what I found on the internet, after a young girl drowned near the island, a doll washed up. The island’s caretaker, wanting to honor her spirit, displayed the doll. He continued to display dolls fished out of the canals to placate the spirit of the drowned girl. Then the caretaker mysteriously drowned too. Now, it’s quite the tourist hot-spot. 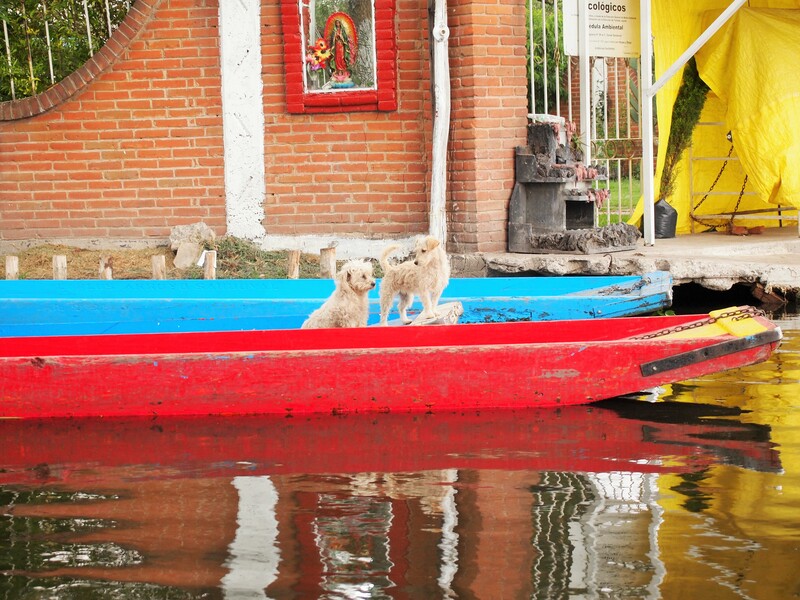 People sometimes request the island as part of their canal tour. So, I guess we unwittingly saw something that I would have been fine not seeing at all. All in all, we had a great time. Even when it started to rain, the canal was tranquil. It was nice to get out of the city and see the lush greenery of the canals. I’d do it again in a heartbeat. Yes, we did. 5 pesos/person.